Expectations of Motherhood: The only word I could use to describe my expectation of motherhood is ‘unrealistic’. I relied on ideals that had been pieced together through memories of my own childhood, through films I had watched and the practicalities from books I had read. I thought I’d be the doting mother in the rocking chair, gazing lovingly at my little bundle and trying to soak in every second. We were the first of our friends and siblings to have a baby, so there we were stepping into the unknown – maybe this was why I was so unrealistic. I wasn’t worried at all really, thinking I’d take things in my stride. I really hated the fact that it seemed people were trying to put a dampener on the whole experience by constantly reminding me that I was about to enter the world of no sleep. I just thought to myself, ‘I know it’s going to be hard but I will cope!’. The beginning (first 6 weeks): Well, I won’t lie… I hated it. I had a long labour where I didn’t sleep for 3 days, which set me up for a torturous time. The one thing that I didn’t think about when I was doing all my planning was the mess my body would be in. Hormones everywhere, wobbly body, sitting on blow up rings to avoid the pain and then there’s the breastfeeding which never got easier for me I’m afraid. Lincoln was a very sicky baby and barely slept during these weeks which meant he wanted feeding a lot. Most of the time he would feed through my tears and agony, quickly throwing it all back up, meaning I would have to start again. This went on for 4 weeks at which point I decided to put him on formula. Had I been mentally stronger at the time I may have persisted but it was just making me (and him) miserable. Often pulling all-nighters in my uni years I thought I’d take sleep deprivation on the chin, but I most definitely didn’t. I struggled. A lot. I think because I struggled I felt like I was failing – which just made it a vicious circle – so it took me a while to claw back my sanity. Luckily I have a very supportive fiancé who had saved up holidays so he could be with me during the difficult weeks and we were able to share the sleepless nights. It got better though, much better. The rest: At a very early 6 weeks we decided to move Lincoln into his own room mainly because we were all keeping each other awake! Lincoln was (and still is) a very noisy sleeper and between that and me being overly aware of him, constantly checking his strange noises weren’t a warning sign, it was turning into some kind of sketch show. Looking back, moving him into his own room was one of the best decisions we made. Lincoln started sleeping a good 6 hours at a time from then on (and so did I). I can still remember that first night he slept through. I felt like superwoman… I could conquer the world! From then on, yes we would have the odd crap night but I started to really enjoy being a mum. My confidence grew and I wanted to go out of the house with him more, taking him to classes, seeing the grandparents… I think I even got reacquainted with my make-up again. Don’t get me wrong, I’ve loved motherhood from day one but sometimes felt it was hard to enjoy as there’s so much deal with and get used to at the start. It’s like learning to ride a unicycle (if you have never ridden one before of course). Life changed the moment I held Lincoln in my arms and I guess at first I wondered what I had let myself in for but the truth is I would do it all again in a heartbeat. The reality? Motherhood is blummin’ hard but my god, it’s rewarding. All was well with the world though and it was just one of the many pivotal learning curves we went through on our journey to graduate from new-born college. (Seriously, there should be a ceremony). The best/worst advice: The best advice I got was from a lovely midwife who told me to keep the house nice and dark and peaceful at night and then in the day have the light blaring in and TV on. I think it definitely sped up him cottoning on to some kind of routine… eventually! The worst advice I was given was to wake him up for a feed every 2 hours. I don’t quite understand why the midwife told me to do this but it felt ridiculous while I was doing it and that’s because it was. Being a new mum, any bit of advice from a professional seemed like it was Gospel – I think next time I’ll trust my own judgement more. I believe a mother’s instinct far outweighs some of the sound advice that gets thrown at you from all angles. 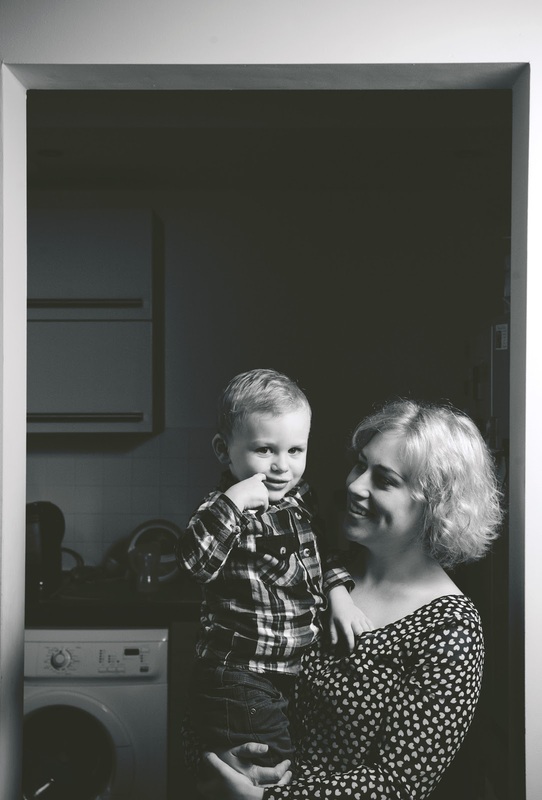 The hardest parts of being a mother: At the beginning I thought the hardest thing about being a mother was dealing with the lack of sleep, but I was so so wrong. Fear is a ruler of my psyche every day now and I find myself following news and politics more intently. All these horrid things I read about where parents lose their little ones just breaks my heart and it’s because I can’t help feeling that pain myself at thought of being in their shoes. Lincoln is my world and having him taken away would be tearing that world apart. My instincts are to protect him from harm, but the more he grows, the less reliant he is on me, so I am finding I have to reign in these instincts more and more. THAT is very difficult. Even the tiniest things like allowing him to find his play and explore when I take him to the park is hard to watch. I can’t help but follow him around with my arms open ready for him making a wrong move. Only now can I understand why, even past the age of 20 when I’d be stumbling in at 4am after a night out, I could hear my mum stirring upstairs waiting for me to come in. She was probably thinking, ‘thank God, now I can sleep’. The best parts of being a mother: The best part is the fact he makes me smile every single day. No matter what mood I am in, even if he’s not even said a word… I’ll look over and I just smile. He’s the best. The harder times are easy to forget but those moments you remember always. I get so much joy out of seeing him grow and learn new things, he amazes me every day and I couldn’t imagine life without him. I could fill this answer with lots more clichés that are all, of course, true but the fact is it’s actually easier to talk in depth about some of the harder parts about being a mother, not because the harder parts outweigh the best, but because it’s difficult to justify with words how amazing it actually feels. Hopes for your family: I have lots of hopes for Lincoln. Anthony and I are working hard trying to build good careers so we can teach him to work hard and aim high. Not to the point where there will be lots of pressure on him though – we just want him to find out what he likes and go for it. I think it’s natural to look at some of the mistakes you have made in your own life and try and guide them away from making the same ones. My main hope is to have a good relationship with him, I want him to feel like he can talk to me and ask for advice. I want him to grow up to be a healthy, happy and confident young man knowing that his mum and dad are there for him when we are needed (and probably most times when we aren’t). We also want Lincoln to have a little brother or sister, but at the moment it’s not the right time. The big big dream is to one day move to Canada and live an active outdoorsy life… but as with most other things we would like, it costs money! So who knows what the future holds? What advice would you offer to new and expectant mums: GET YOUR SLEEP IN NOW…. just kidding. I would say try and relax; a crying baby is not necessarily an unhappy baby and although it sounds like a panic alarm, don’t panic. Also, don’t read too many parenting books before you have the baby – I quickly found out that all babies are different and getting things to suit your babies tastes involves a lot of trial and error. You’ll get the routine right eventually and then they will most likely change again. Oh and don’t fall into the trap of buying unnecessarily expensive (and sometimes useless) baby things. I mean you can buy things like snot suckers but they can’t beat a good old bit of tissue! Above all… enjoy it! Sit in your room of chaos, laugh it off and steal as many precious moments you can get with them. No one expects you to be Martha Stewart and the world doesn’t end just because you have a messy house, but time passes by so quickly. I remember always urging on the next stage from seeing his first smile, I was looking forward to him crawling, then walking, then talking and so on. Now he is running around bossing me about leaving me wondering where that tiny baby went. How has being a parent changed you? : You can speak to any member of my family and they will most probably nod in agreement at what I’m about to write. Before I had Lincoln I was a very different person. I had a big social life, and going out with mates every weekend (and some weekdays too) was top of my agenda. I had plans to travel the world and was figuring out what career path I wanted to take. Looking back, I can see how selfish I was. everything was about me. I’m surprised my family weren’t more concerned when I announced I was pregnant. Anthony and I hadn’t been together that long, we were living in separate houses and were (and still are) skint. But now my world revolves around someone else, someone so much more important to me. Even though I would have loved to do a bit of travelling, I think I have gained more from the stability of getting a bit of structure in my life. Had I not had Lincoln, I don’t think I would be as close to my parents as I am now, we wouldn’t have bought a house, got a car and I probably wouldn’t be blogging or embarking on a career in social media. I have more important dreams and aspirations now, ones that don’t just involve me. I feel much stronger, more mature, more focused, and yes a little more tired too but it’s a small thing to lose for such a massive gain. Who would have thought this party animal would one day long for early nights and family days out? Not me.